Bitmain Technology, the world’s largest crypto mining equipment manufacturing firm, is going to replace its chief operating officers Jihan Wu and Ketuan Zhan with a new appointee, reported the South China Morning Post. The news follows months of speculation about Bitmain losing billions in the final quarter of 2018. Earlier in December 2018, the Beijing firm reportedly fired more than half of its staff, including a team which was working on the next Bitcoin Cash client. It also closed its blockchain research and development center in Tel Aviv, which it had launched in July 2018. In September, Bitmain had applied to list publicly in Hong Kong publicly. The state regulators reportedly rejected the $12 billion IPO registration citing lack of regulatory guidance for the crypto companies. Bitmain, as a bitcoin mining company, was doing reasonably well when the crypto market was bullish. When bitcoin price surged from $3,000 to $20,000, Bitmain started holding what they mined, according to their wallet report available at BitInfoCharts.com. Between February 2018 and April 2018, when Bitcoin had begun its descent, the company sold as much as 8,000 BTC. Since April, Bitmain BTC wallet maintained its balance, which also means that the company was selling coins soon upon mining. As of January 11, 2019, Bitmain had $31.09 million worth of bitcoins in its wallet. The wallet balance revealed that the world’s biggest bitcoin miner sold bitcoins when its price was falling and held it when it was rising. Electron Cash, a Bitcoin SV wallet, also revealed a Bitcoin wallet address whose balance turned zero on the date of Bitcoin Cash hard fork. The company claimed that Bitmain owned the concerned wallet. Bitmain had announced that it would allocate a large amount of its hash power to support one of the Bitcoin Cash blockchains – Bitcoin Cash ABC – led by Roger Ver. By then, media reports had already revealed that Bitmain was facing financial losses up to $700 million. 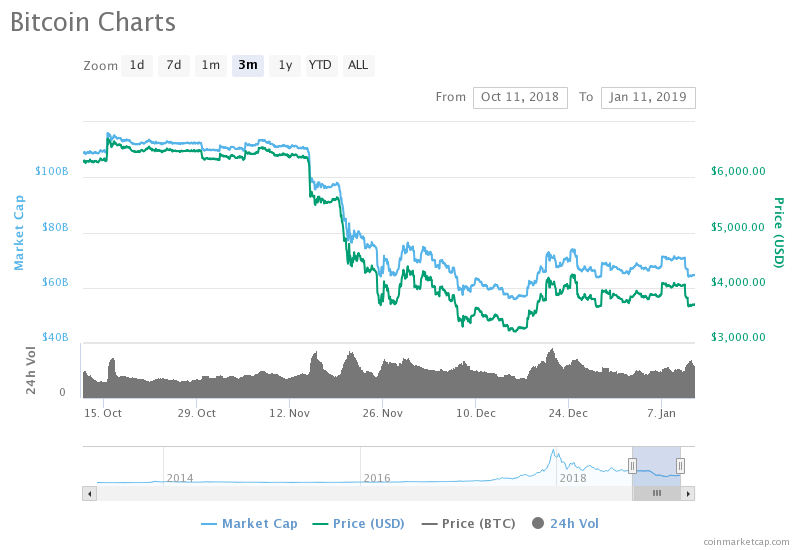 The crash in the crypto market had choked Bitmain’s source of revenue. If Bitmain wanted to support the Bitcoin ABC camp, then it would need fiat in its hands to pay for the mining resources. It was then the balance in the bitcoin wallet address mentioned above went to zero. As Bitmain’s fiat balances shrink further, in the worst case scenario, the company could withdraw more of its digital currency assets to keep its fiat balances afloat. It currently holds a total of 8,490.61140142 BTC, which is 0.049% of the total mined coins. The bitcoin balance could be more, depending if Bitmain has other bitcoin wallets. Bitmain’s earlier trading sentiments make it an investor that sells Bitcoin on the first sign of trouble. With its IPO rejection, the company is now more likely to explore newer funding options. But for a company which has control over 70% of the mining industry, their implosion is not good news for an average bitcoin investor.